Interview would not be that much tough for the experienced candidates as they have experience and might have attended many interviews earlier. Even for experienced there is a need of some preparation before facing the interview. Here we are going to share few hr interview questions and answers for experienced candidates along with the way of answering them. These will help you if you are in serious preparation to crack the interview. Interview questions: These questions will be helpful for final phase of selection process such as HR interview, Personal Interview. Here are the top HR interview questions. Also view Top 20 interview questions and answers. This is one of the most frequent asked questions in most of the MNC’s. Just give a brief about your qualifications, career history, skills etc. What is your achievement till date? Select the recent work related achievement. Tell about the skills helped in achieving and how it added benefit to the company. Why you are looking for change of job? There would be many reasons but the best answer is “for career prospects.” Prospects in terms of experience. Why you have switched many jobs? Change of many jobs and companies create a negative impact that the candidate is unstable .You can answer that you have changed to broaden your experience. Would you to work in a team or individual? This question is to test if you are team player or not. There will be situations where you have to work with team and also alone. The best answer would be I can adjust very well In a Team and if I have to work alone on my own, I can handle it efficiently. What are the problems in your last role? Just tell the causes which created problem. This is to know the correct reason of leaving. How can you commit to work with us? The best answer would be: I like to have career grow and challenges. As long as I get this I don’t switch the company. Even tough I haven’t fixed any time limit. What are languages you worked on / what are projects you worked in? Specify those languages on which you have worked and the details of projects undertaken. I expect an Ideal remuneration for my skills and ability. I would like to know the information about the career growth . These are the top and most frequently asked HR interview questions. Some more Interview Questions for HR Round Are As Follows. How Can you work under pressure? Willing to relocate or travel? How your skills help organization? Would you lie for our company? If you get a big lottery, would you like to continue to work or quit? What do you about our company? 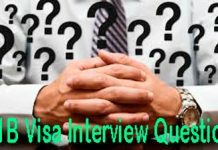 To Download top personal interview questions pdf click here. There are many people who succeed in first phases of interview but fail in the HR round. So, a proper preparation by following tips and referring to those above mentioned questions will help to succeed in the interview.